If you’re planning a trip to South East Asia, there’s a good chance you’ve overlooked Malaysia in favour of its neighbours: More specifically, Thailand, Vietnam, Cambodia, Laos, or even Singapore. Kuala Lumpur isn’t exactly a popular tourist destination. Kuala Lumpur certainly wasn’t on my own bucket list; I only ended up there because it was the cheapest direct flight to South East Asia from London. Since the flight was long and I had the time to kill, I decided to spend a long layover there before heading on to Chiang Mai, Thailand, to begin my new life as a digital nomad. But even though it wasn’t on my initial itinerary, I’m really glad we decided to give the Malaysian capital a chance. 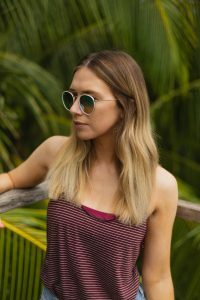 If you’re travelling through Kuala Lumpur to get to Penang, Kota Kinabalu or one of the more popular destinations in Malaysia, it’s well worth booking yourself into a hotel to explore the city for a couple of days. Kuala Lumpur is an unusual kind of place. Aside from the aroma of street food that fills every corner, the first thing you’ll notice is the unusual vibe this city has. Kuala Lumpur is a surprisingly cosmopolitan city with a varied and intriguing demographic of residents. 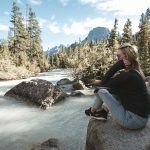 There’s a fairly large expat community there – or so I hear, because we didn’t really see any other expats or tourists in our short time there – but the city feels very untouched by tourism. 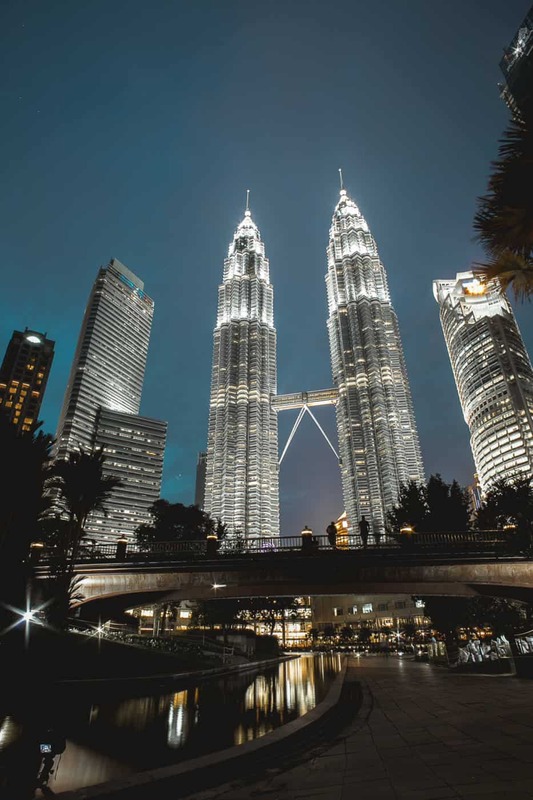 Most capital cities are so accustomed to tourism that it’s rare to find a truly authentic travel experience, and Kuala Lumpur is one of the few that has that charm that’s so hard to come across. That means it’s easy to fall into the city’s rhythm. To get a taste of daily life in this South East Asian city. But despite that, KL (as it’s fondly referred to by most) somehow still has some kind of air of mystery, an elusiveness that’s hard to penetrate. It’s hard to say what or why, but you feel a strange closeness and distance here all at once – and it’s enchanting. If there’s one thing you’ll remember about Malaysia, it’s probably the food. The food in Kuala Lumpur surprised me so much that I’m already planning when I can squeeze in a trip to Malaysia’s food capital, Penang. The best restaurants in Kuala Lumpur aren’t really restaurants at all – they’re stalls and makeshift stands at the edge of the road. Yes, I’m talking about street food. 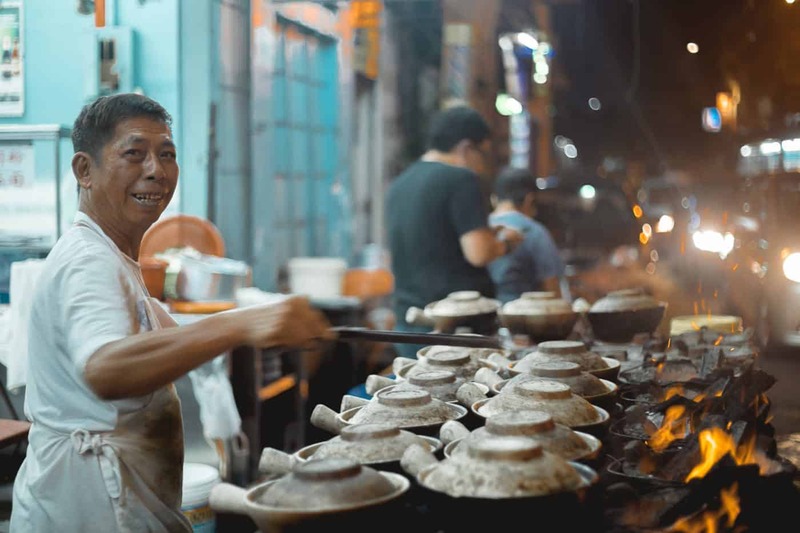 Although there are certain areas that are known for their street food (such as Jalan Alor), you’ll stumble across that inviting smell on almost every corner. Make sure you try a fresh juice, a street BBQ and claypot chicken. Tip: If you’re worried about falling ill while travelling in South East Asia, you’re probably safer to stick with the street food. Despite what you might assume, I’ve heard far more stories of sickness and food poisoning from “real” restaurants than street food in this part of the world. Brickfields, an area to the south of the city, is more commonly known as “Little India”. And when you arrive there it’s not hard to see why – you could well be in India. Colourful street decoration and sari shops blasting out Bollywood music line the streets, while the smell of curry hits you as you take it all in. Slightly north of Brickfields is the other part of Kuala Lumpur that doesn’t feel like Malaysia. It’s Chinatown and you can easily whittle away half a day here. 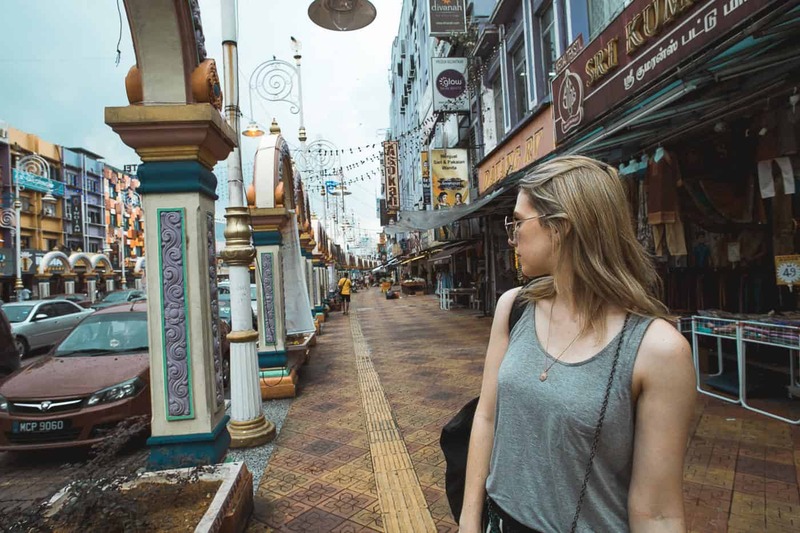 Petaling Street is one of the biggest shopping areas in Kuala Lumpur, but unless you’re looking for fake designer bags, shoes and sunglasses, you’ll probably be better heading up the road to Central Market. Here, you’ll find a wider variety of goods including perfumes, soaps, local crafts and paintings, vases, rugs and more. 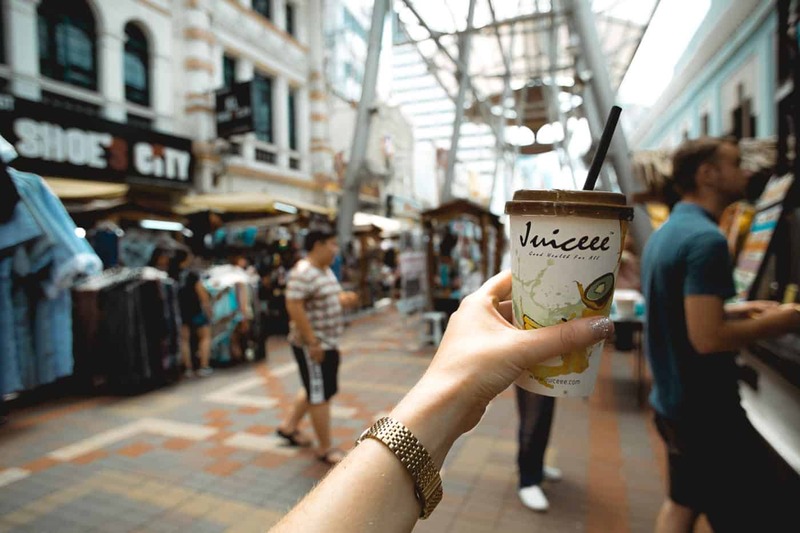 If you get chance, stop for a juice at the Juiceee stall in the main outdoor walkway – it’s not cheap, but the lychee and lemongrass juice is amazing. We stayed in the D’Majestic Place hotel because of its rooftop infinity pool, but there are plenty other rooftops to take in the city skyline from. The Petronas Towers aren’t hard to spot and there are many strategically placed bars that you can get a glimpse from. If all else fails, head to KLCC and stare right up at them – and try not to be amazed at how big they are! When all else fails, jump on a bus and see where you end. There are plenty of ways to get around Kuala Lumpur – monorail, train, taxi, Grab, Uber, scooter and bike, to name just a few! – but the city operates a free bus service that runs past all the major attractions and restaurants. Look out for the pink Go KL bus for a free ride. Even though Kuala Lumpur is pricier than its South East Asia neighbours, it’s still an affordable city for a short layover or city break – and definitely not a place to be overlooked. 48 hours is enough time to get a a good taste of both Malaysia and its people, but I already can’t wait to go back and explore some of the other places in this often overlooked country. Have you ever been to Kuala Lumpur? Would you consider visiting?